It’s a year to the day since my Mum died at the age of 86. 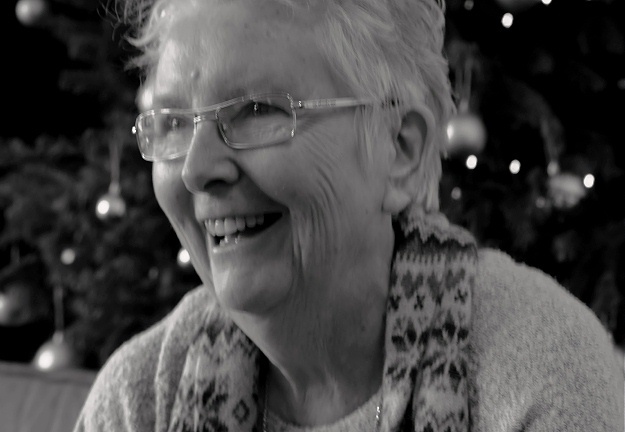 Her passing has prompted a lot of tumultuous change, and no day has gone by without connecting to her memory. 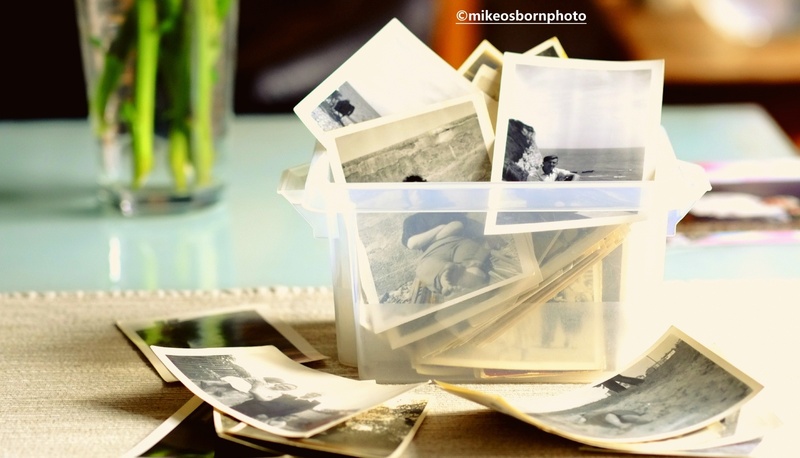 I brought home a small plastic box, packed with little black and white snapshots. 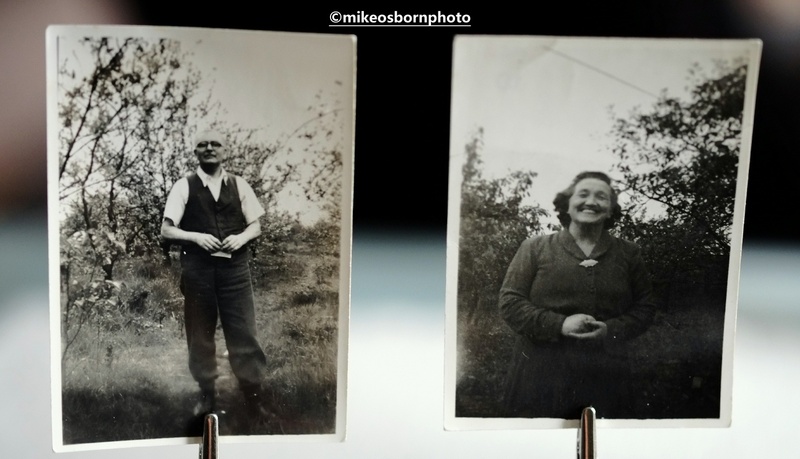 I sifted through them, finding photographs of familiar family faces from a long gone era. It didn’t take me long to realise that many of these images were Mum’s work. During the 1950s she took portraits of the important people in her life, including family and even boyfriends who preceded my late Dad. She was also happy to have the camera turned on herself in an era long before the selfie. So why should it have come as a surprise? During my childhood it was Dad who purchased numerous cameras and took all the holiday photos. Mum was befuddled by complicated machines and consequently dismissed as unable to take a shot. 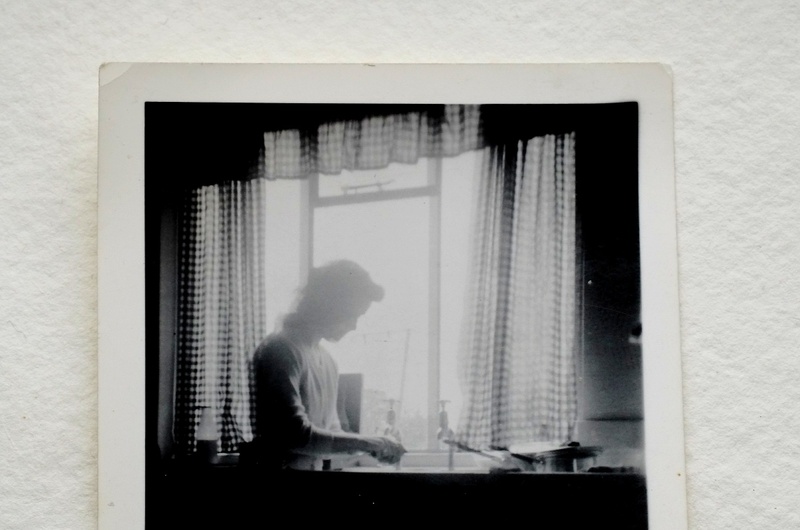 This little box of pictures reveals that it was Mum who may have possessed the natural flair to use a camera – the simple Box Brownie she mentioned on rare occasions. 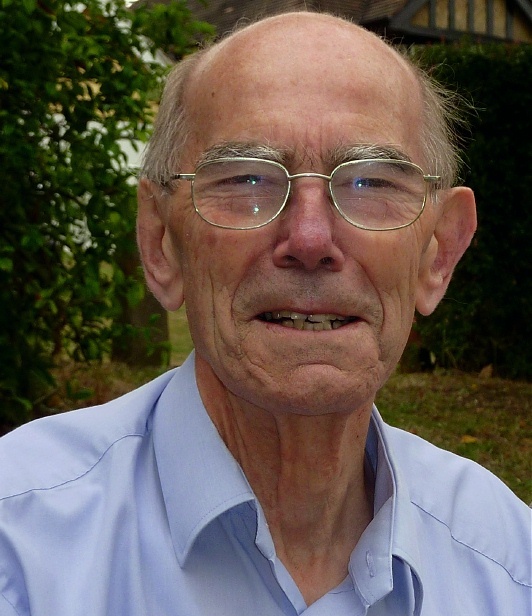 Dad, an engineer by training with a practical brain, loved the complex workings of cameras and would spend hours studying instruction manuals and fiddling with their controls. 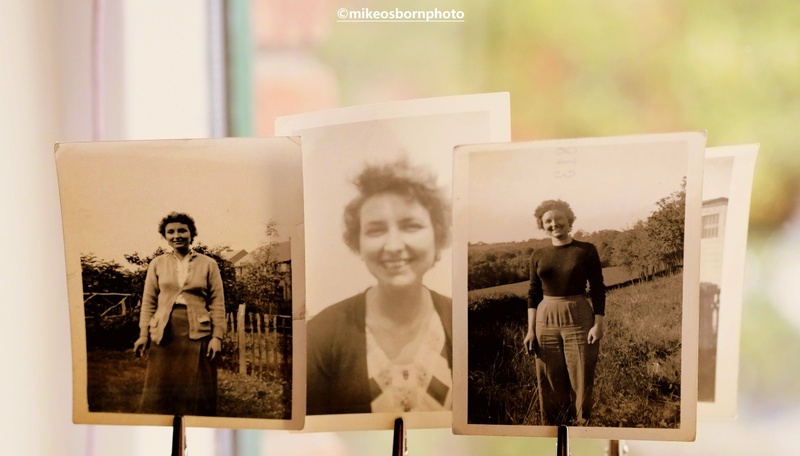 Mum left behind thousands of photographs, but this small collection are the only ones which suggest she enjoyed using her own camera on a regular basis. Perhaps life changed after she married in 1957 and there was no longer space for photography. I regret that I didn’t unearth these photos and talk to her about them while she was still here. 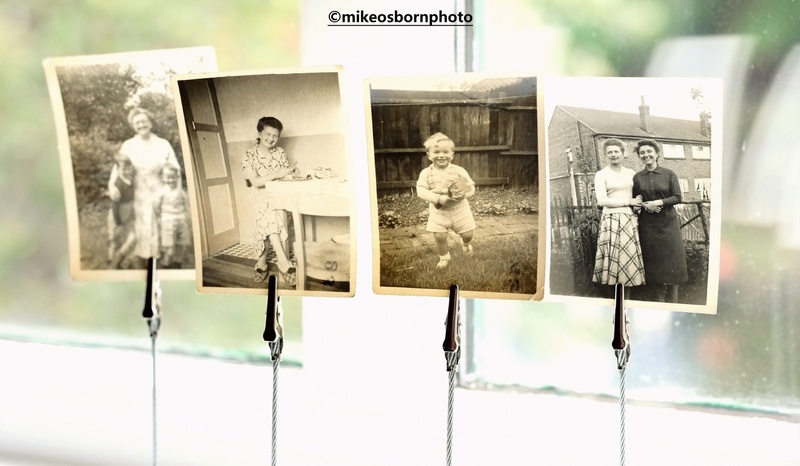 As everyone knows, photographs hold cherished memories and in this case, unexpected insights into the long life of a loved one. I’m not at home for the anniversary, but putting this together will help me to remember a very important person. Thank you for coming by :) It seemed a nice way to mark a significant marker. Lovely post. Memories to cherish! Thank you for sharing. Thank you Bunty. I agree. These were everyday images taken with love and care. I had no idea Mum had the passion. Thanks so much, Scott. I was always sure it was my Dad. This was a special post so required different treatment – glad you like it. This is such a beautiful post! Next month will be the two-year anniversary of my mom’s death (she was 93)… and the 39th anniversary of my dad’s death. It’s wonderful that you found these photos your mom took. I think you’re right in saying that married life changed things for your mum. I don’t know if your mom worked an outside job, but being a wife, housekeeper, and motherhood certainly changed things for women back in the day. My mom had some creative interests … she painted a little, she liked handyman projects: she built and finished the cabinets in two of the bathrooms in our house as well as built-in bookshelves in one of the rooms. She stopped doing those things when I came along. Even though I was adopted, I think she held it against me. But, I digress…. On a different note, being an adult with both parents gone is a strange, rather empty place to be. From some of your previous posts, I think you and your mum had a better relationship than I had with mine. Yet it is still strange to be an orphaned adult (that term comes from a book someone gave me after my mom died). I wish I could tell you that the second anniversary is easier than the first. It’s not. But, I imagine you know that having lost your dad some time ago. I sit here, looking at the ‘kitchen sink’ photo of your mom. It’s so good. Thank you for sharing this. Not just the words about your mom, but also the photos. For those of us who only know you and your family via blogging, these photos of your mom and by your mom bring her to life. Thank you for sharing her with us. Peace to you, on this anniversary day. Bask in the memories and laughter and smiles you shared with your mom — I hope they bring you some peace and comfort. John, thank you so much for this. Wise, warm words which mean such a lot on a day like today and from someone who knows. 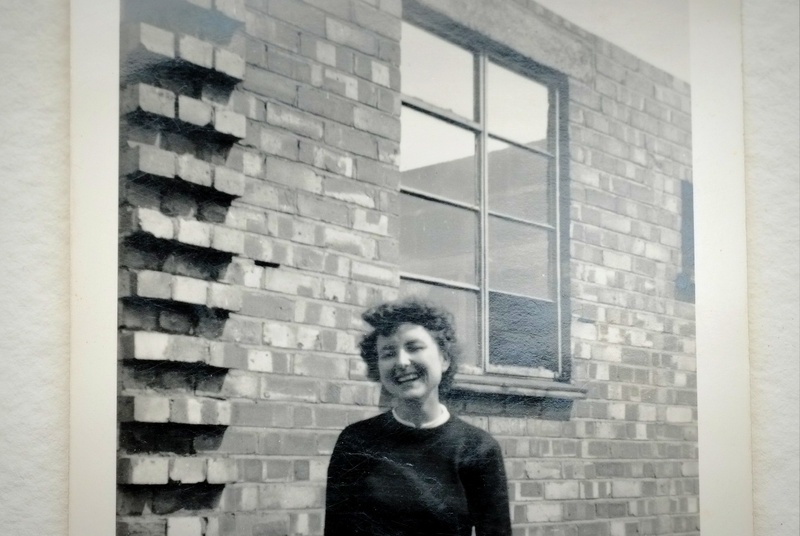 Yes, Mum went fully into housemaking and a long process of bringing up a family – we came along quite late in the day. I’m sure this was all very different from the 1950s when Mum was able to pick up a camera and enjoy using it. You’re so right about being an orphaned adult. This is partly led me to a long period of travelling and looking for something, possibly the deep connection that’s slipped away from me. Thanks again for your thoughts which have truly struck a chord. What a treasure! And to realise where your liking for photography came from must have been interesting. Beautiful images, Mike… I am quite nostalgic, too. Sadly, the days of finding a stash of photos in a box are dwindling. Thanks Jane, glad you like them. Nice to be able to showcase what my Mum did after decades of sitting in the box. Thanks Koos. Yes, I didn’t quite see it until I studied these photos. I shall treasure them. Your mum is the best photographer.